Despite announcing plans to close all of its physical outlets acrosss the UK and Germany with a view to focusing on an online-only strategy, the Swedish retailer has made an about-turn and revealed it plan to keep trading from its Reading store on Broad Street in the city centre. Meanwhile, the UK looks poised to house Clas Ohlson's e-commerce operations for Germany and other potential European markets. Clas Ohlson acting UK country manager Jon Peacock stated it was a "key location" for the retail group, and, according to reports from local press, there may have never been any plans to close the store. 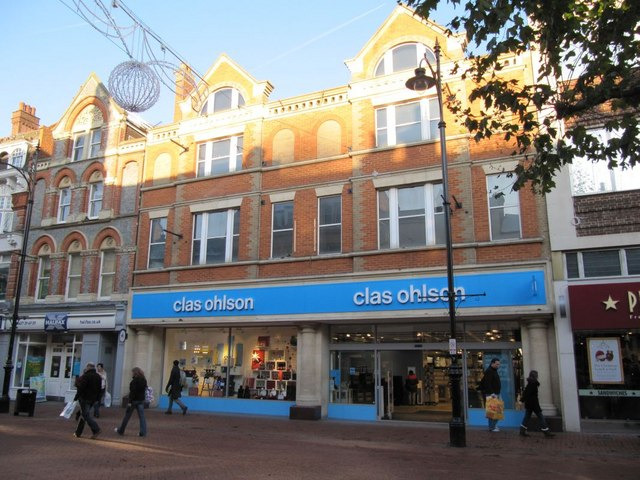 Online news source, Get Reading, said it was contacted by a spokesperson for Clas Ohlson just a day after the announcement was made about store closures, explaining that the original statement had "neglected to mention one store will stay open". In the announcement last month, Clas Ohlson announced it would be closing all high street stores in the UK and, instead, focus on internet retailing; blaming a weak retail climate and the cost of developing a strong digital presence. The move is expected to deliver a £6.5million annual boost to operating profit when closures have been completed. However, Mr Peacock has said in a later statement: "There are no plans to close our Reading store. Whilst we are closing our other physical stores in the UK, Reading is very much a key location for us and pivotal in us driving forward the online programme. Re-iterating the push for a digital format, he added: "In recent years, we've been working on a digital transformation plan and our online business has gone from strength to strength. It's clear that online, where people can get access to our entire product range, is how our customers like to shop with us. "With this realigned focus, we believe we'll be able to deliver an even better shopping experience for our customers; by strengthening our supply chain and logistics capabilities, and really focusing on excellent service and product assortment. "We have no plans to withdraw our UK e-commerce operations, and our physical store, in Reading, will remain open." It appears there will also be greater investment in the UK, as Clas Ohlson's HQ will play host to all European e-commerce operations. Mr Peacock explained: "Our German online business will also be managed and operated from our UK base, along with potential new European markets in future. "Our UK HQ will be relocated so that we can be better positioned for this new development and we'll be looking at a revised organisation structure for the future, including a number of new roles in specialist digital and e-commerce areas."